A starter's guide to the trans-themed films and programs that are worth seeking out. It came, we saw, she conquered. Caitlyn Jenner's incredible, breathtaking Vanity Fair cover is sure to dominate the cultural conversation for a long time, and deservingly so. It can't and shouldn't be ignored, however, that although Jenner's reveal (as well as the outpouring of praise and well-wishes that quickly followed) certainly marks a crucial step into a more accepting and progressive future, the trans community is vast, diverse, and stretches far, far past the admittedly wealthy, white, and famous Jenner. When it comes down to it, not every trans woman gets her own mega-hyped reality show or can afford to look like Jessica Lange, nor should she need to in order to be embraced and respected by those outside her community. Yes, we should by all means celebrate Caitlyn and her personal victory; it's no small feat. But it is unfortunate and flat-out wrong if we halt the conversation there. Between the alarmingly high rate of suicides among trans kids and the continued violence against trans women of color, there are still a great many trans-related issues that we need to recognize, discuss, and repair. There is still so much work to be done. In order to continue any conversation regarding human rights issues, it is always helpful to have entertainment to engage and enlighten us. Here, then, is a brief starter list of carefully-curated films and television programs that shine a much-needed light on transpeople, both real and fictional, in both dramatic and documentary work. The list skews mainstream, but we hope it will inspire you to dig deeper into film history and check out the seminal works of Pedro Almodóvar, Rainer Werner Fassbinder, and Paul Morrissey. 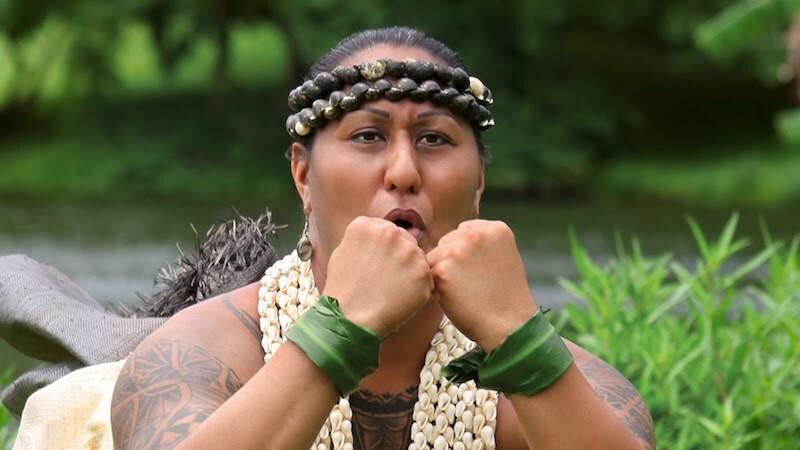 Highly distinctive and endlessly illuminating, Dean Hamer and Joe Wilson's documentary follows Hina Wong-Kalu, a Hawaiian teacher and māhū (transgender woman), as she strives to maintain her native culture and encourages one of her promising female students to lead the school's all-male hula group. Kumu Hina, which is also available in an educational children's version, is a moving and empowering story about a person, place, and culture the movies rarely take an interest in, unless presented with the opportunity to cast Emma Stone as half-Asian. So Kumu Hina is a rarity that's hard to imagine many audience members selecting of their own volition, but it's a rarity that has a great deal to tell and teach us, if we only wish to learn.